Time for some Chiru masala! 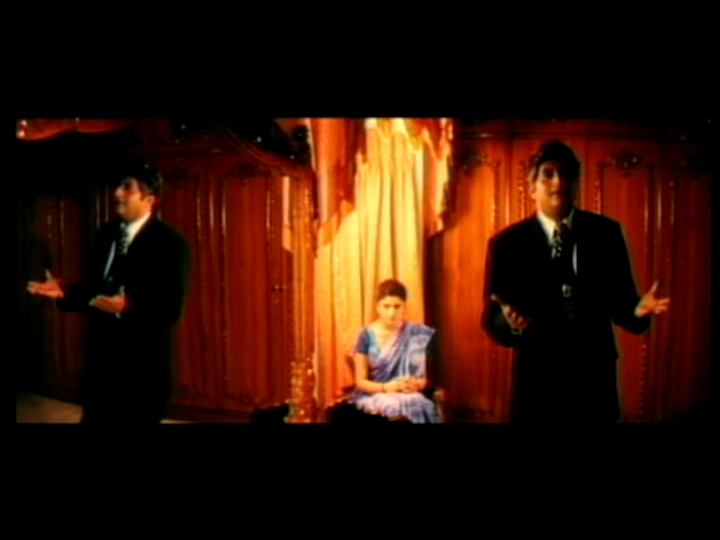 Choodalani Vundi has a little bit of everything but mainly has a lot of Chiranjeevi. It’s very much his film the whole way through as he fights and dances his way through the streets of Hyderabad, Kolkata and even spends some time in the jungle. Since it’s an unsubtitled DVD I missed a lot of the humour, but could pick the comedy from the gleam in Chiru’s eyes and Soundarya’s excellent reactions. 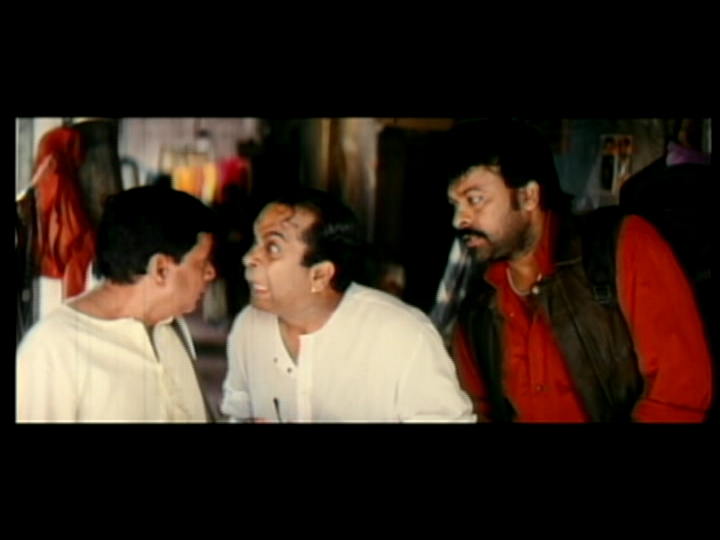 The usual suspects form the support cast as Brahmi and M.S. 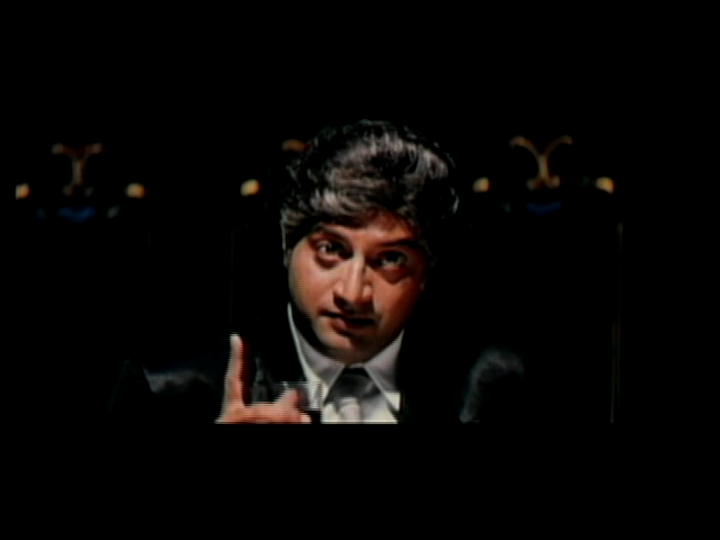 Narayana pop up to add some slapstick and Prakash Raj plays the villain of the story in a truly terrible wig. But be warned there is also a small child who is continually terrorised every time he appears on screen (which thankfully isn’t too often) and I just hope the child actor wasn’t scarred for life as a result. 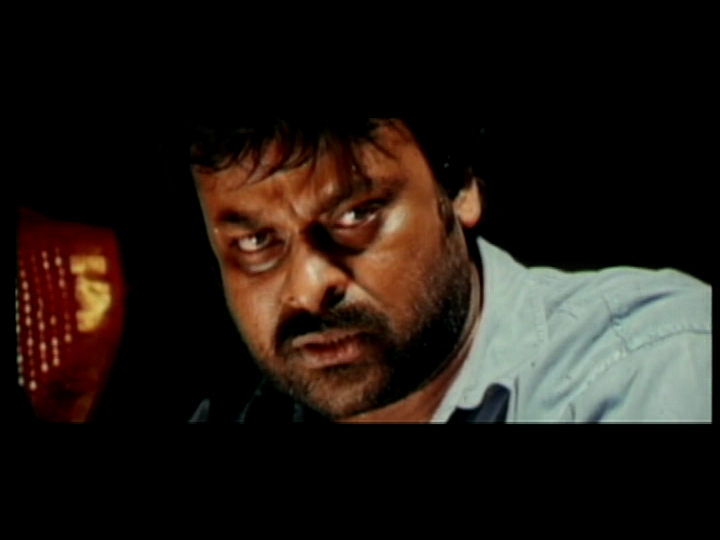 The film opens with Ramakrishna (Chiranjeevi) arriving in Kolkata. We know we are in Kolkata because there are trams, wonderful old Colonial style buildings and of course Howrah Bridge – we even get a song about it. With the help of some friendly locals, Ramakrishna finds a chawl which has a few Telugu speaking inhabitants. 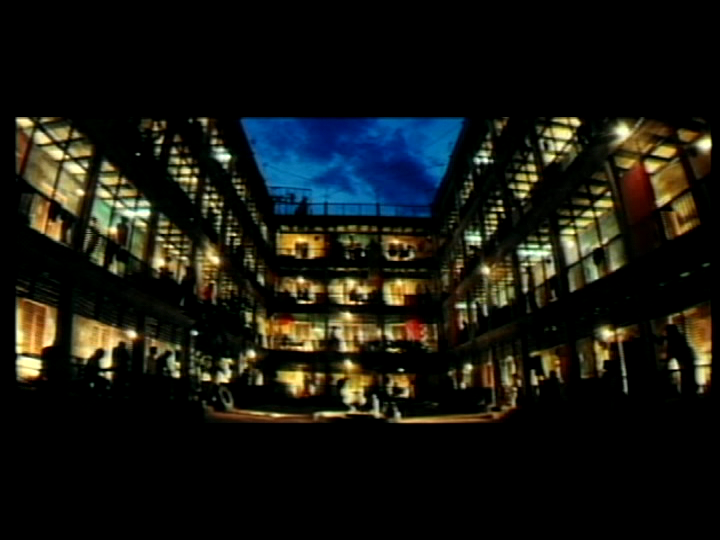 The Ravindra apartments seem to be rather ineptly managed by Brahmi and M.S. Narayana and after some friendly banter, they rent out a room to Ramakrishna. However the room has the unfortunate problem of already being occupied by Padmavathi (Soundarya) and she’s not inclined to share. But with a little application of Ramakrishna’s charm, the two seem to reach an agreement and Ramakrishna is free to deal with the reason he came to Calcutta in the first place. Ramakrishna seems to be looking for someone although he doesn’t seem to be having much success until the day a group of thugs come to shake down the chawl residents. In what seems a lucky break Ramakrishna recognitions one of the gang (Brahmaji) but despite some nifty moves doesn’t manage to catch him in a chase through the streets of Kolkata. That turns out to be rather unfortunate as Brahmaji comes back with a few more mates and in the resulting brawl Ramakrishna is seriously injured. Perfect time for a flashback then. Back in time, and presumably back in Andhra Pradesh, Ramakrishna spots Priya (Anjala Zaveri) on a train and naturally it’s love at first sight. She doesn’t seem to mind his attentions and when he stalks follows her to the next station even seems glad to see him. I’m not totally clear on why Priya suddenly ends up running down the platform with a gang of thugs chasing her at this point, but it probably doesn’t really matter. Naturally Ramakrishna is on hand to provide a rescue on the back of his trusty motorbike and Priya seems to have no worries about trusting a stalker she has only just met rather than the gang of what turn out to be her father’s men. Mahendra (Prakash Raj), the local don, has plans for his daughter and they quite definitely don’t involve Ramakrishna, so he packs a few SUV’s with machete waving thugs and sends them off in pursuit of Ramakrishna and Priya. This eventually leads to a wonderfully dramatic Thelma and Louise inspired leap from a cliff into the ocean which seems to dispose of our couple in a rather final fashion. Somewhat surprisingly then, the next scene shows Ramakrishna and Priya living happily in the jungle with their young son, where they spend their days rescuing animals, swimming in their back-yard rock pool and socialising with the natives. 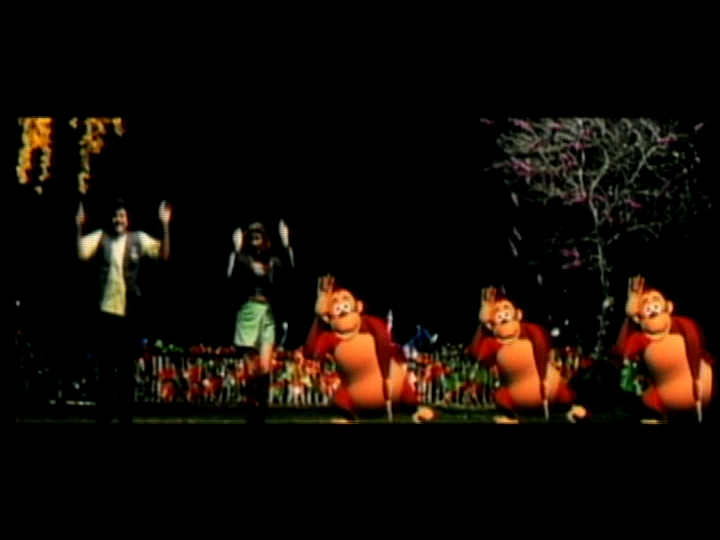 There is some Lion King inspired cartoon animation as they sing and dance around the forest but that’s a clue that something bad is about to happen. And I don’t just mean the animated dancing lions. Mahendra somehow manages to track the couple down (although how he even knew they were alive a mystery), and he turns up in a helicopter to take his daughter back. The action ramps up several notches as Ramakrishna tries to rescue first his wife, and then his son from the clutches of Mahendra. Ramakrishna is of course an unstoppable one-man army but Priya has some unexpected talents as well. Which do you think is faster – the speeding bullet or Priya? 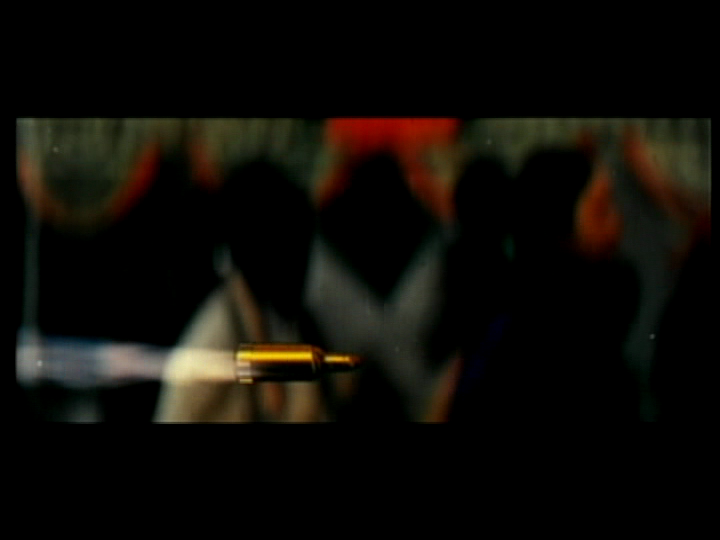 I’ll give you a clue -it’s not the bullet! Gunasekhar seems to have thrown almost everything into this film to make sure there is something for everyone. The cartoon characters almost fooled me into thinking it was even child friendly but the subsequent events quite definitely aren’t. But there are lots of chase sequences – on foot, motorbikes, cars, buses, jeeps and even a jeep vs truck chase although stealing a truck that is emblazoned with the words ‘danger – explosives’ does seem to be just asking for trouble and is perhaps just a little bit of overkill. The first half is beautifully shot around Kolkata and focuses on the lives of the people in the apartments. It feels warm and homely and Chiranjeevi and Soundarya have good chemistry in their scenes together. Although we later learn that Ramakrishna is a desperate man searching for his son, this part of the film seems very upbeat and generally happy. The second half is less successful as Anjali Zaveri seems to spend a lot of time under waterfalls, seductively draping herself around pools, but otherwise doesn’t have much to do. The problem is that there just isn’t much substance to the romance between Ramakrishna and Priya. Their relationship moves very quickly from promising first glances at the train station to very domestic scenes of Ramakrishna chopping wood and Priya looking after a toddler. The romancing in between is confined to one song and those waterfall moments, none of which have much sparkage happening so it’s almost a relief when Mahendra turns up to steal Priya back. Prakash Raj seemed to be trying a little too hard to be evil at times but once past all the posturing his treatment of his daughter and grandson is suitably chilling and the climax scene with Chiru is excellent. Prakash Bad is always a treat to watch even with all the gun waving and declarations, and I did appreciate that when stressed he chose to sit right underneath a large chandelier rather than anywhere more plebeian. Such style! Choodalani Vundi is a by-the-numbers masala film. It has the requisite number of songs and fight scenes, and in between there is a mixture of comedy and romance as required by Telugu Filmi Masala Law. And that’s not such a bad thing. The various elements are woven together well and it’s an entertaining watch even if it doesn’t really break any new ground. Chiru is the drawcard, but the rest of the cast provide able support and the change of scenery to Kolkata is refreshing. Plus lots and lots of Chiru screentime! 3 ½ stars. This entry was posted in Tollywood and tagged Adventures without subtitles, Anjali Zaveri, Brahmaji, Brahmi!, Chiranjeevi, Chiru, Choodalani Vundi, Gunasekhar, Happy Birthday Chiranjeevi, M.S. Narayana, Mani Sharma, Megabirthday 2012, Prakash Raj, Soundarya. Bookmark the permalink. This is definitely one of my favourite Chiranjeevi movies! It has everything, and I have never got bored of it even once although I have seen this movie many times. Soundarya and Chiranjeevi are really good in this movie. They seem to be better together in this movie than in their other movie Annayya. Annayya had more scenes between Chiranjeevi and Soundarya but it lacked the charm visible in this movie. Anyway, to each his own. I liked Anjala and Prakash Raj as well, but yes, the terrorization of the child could have been lessened, it was too much. I am always horrified watching those scenes, especially the swimming pool one. 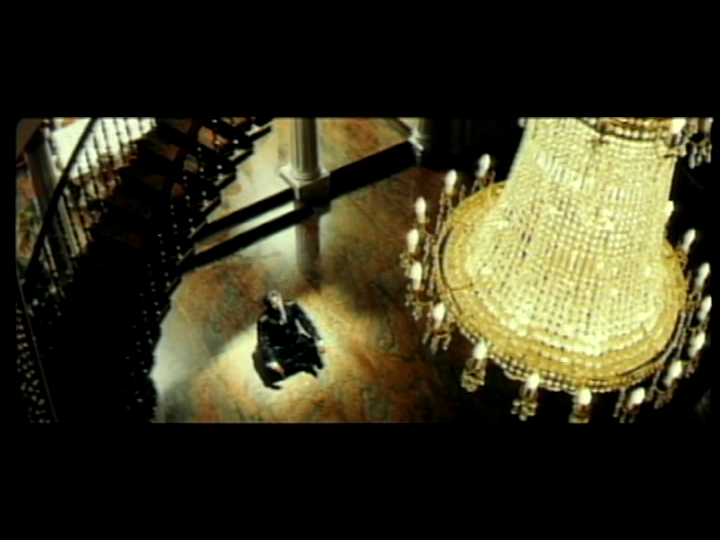 I almost change the channel when this scene comes, just can’t watch it again and again. The songs are so good, my favourite is the song “O Maria” although the costumes of the background dancers could have been better. Overall, 3.5 stars from my side as well…recommended to all Chiranjeevi and Soundarya fans! I’m glad to know that it’s not just me who is horrified by the scenes with the child! I did like the moment near the end though where he had the presence of mind to escape and then slowly back away when he saw Prakash Raj in the crowd – that was well done. Just a pity about the rest!